Offshore Mediterranean Conference and Exhibition 2017 (OMC), organised by IES (International Exhibition Services) will again be held in Ravenna, Italy from 29-31 March 2017. The Offshore Mediterranean Conference and Exhibition first started in 1993 and OMC has now become the most important exhibition and conference of its kind, focusing on the oil, gas and energy issues which are facing Mediterranean countries. Held in Ravenna, Italy, OMC has provided on-going support to the development of the oil and gas industry by providing an arena for discussions on research and development, new achievements in product technology as well as the opportunity to review challenges in the energy sectors. 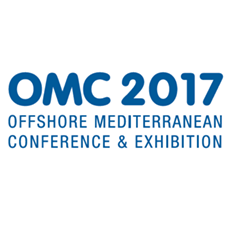 The Offshore Mediterranean Conference attracts almost 19,000 participants, 700 exhibiting companies, from 32 countries worldwide, a sign that both the conference and the exhibition, are now well established and the event is viewed as one of the most important meeting places for oil and gas operators with an interest in the Mediterranean. Attendance at the Offshore Mediterranean Conference is a must for anyone involved in areas connected with drilling and downhole technology, offshore platforms, marine equipment, pipeline products and services, and LNG Production Technology.